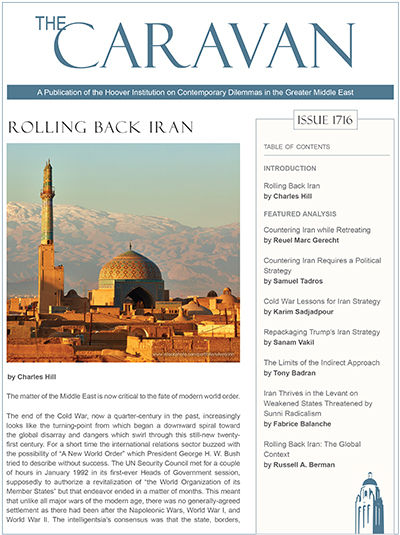 In October 2017, the Trump administration rolled out its long-anticipated policy to counter Iranian expansionism in the region. The policy pays significant attention to Hezbollah, Iran’s principal instrument of regional power projection. After eight years of American courtship of Iran, which drastically elevated its regional position, pushing back against Tehran and its proxies was always going to be a formidable challenge. A question mark is hanging over American grand strategy. The triumphal optimism that marked the end of the Cold War has given way to profound anxiety about the future of the international order. American supremacy has frayed and ominous challenges have emerged. We have entered difficult times. How did we lose our advantage? Can we reclaim it?